Your BlackBerry can help keep your organized on your next trip, and these apps make it an easy job. 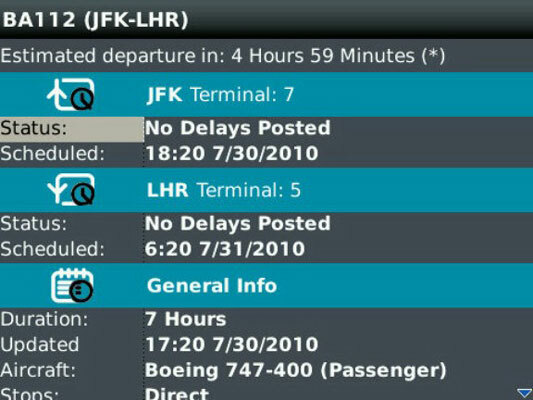 These BlackBerry apps let you figure out where you’re going, how you’re getting there, and where exactly you end up. WorldMate is a very professional tool for the road warrior, polished to a boardroom shine. 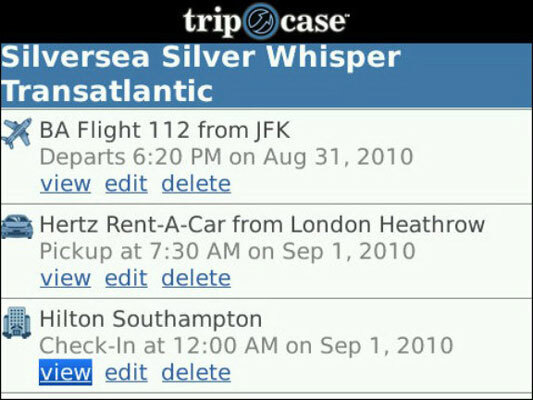 Enter the details of your itinerary in several ways: manually by pecking away at the keyboard on your BlackBerry, manually by typing on the keyboard of your personal computer, or automatically by inputting the reservation code (from the airline, hotel, car rental agency, travel agency, and so on). You get pretrip notifications of any changes to your travel plans and then reminders and weather forecasts while the day draws near. When you arrive at your destination, you receive a welcome message with directions to your hotel or meeting or other scheduled event. 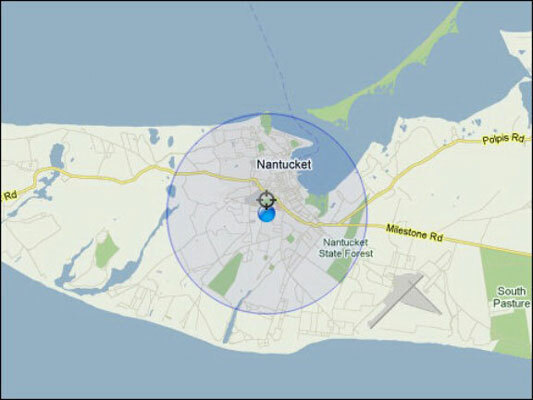 e-Mobile GPS Companion taps into the built-in GPS chip on advanced models of BlackBerry devices and finds where you are; it can also make a rougher estimate of your location based on the cell towers used by your phone. From there it can tie into Yahoo! to show you a map and its own database of hotels, restaurants, gas stations, and services. 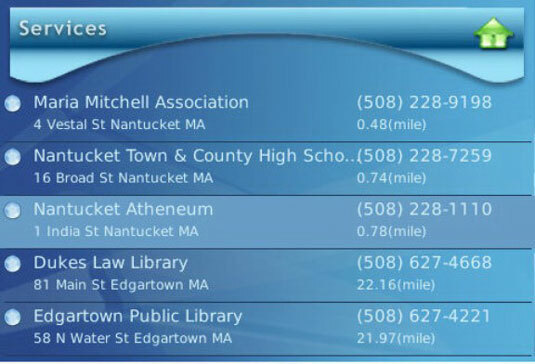 After you use the data stream to find yourself and download a map, you can save that map on your phone for offline use. 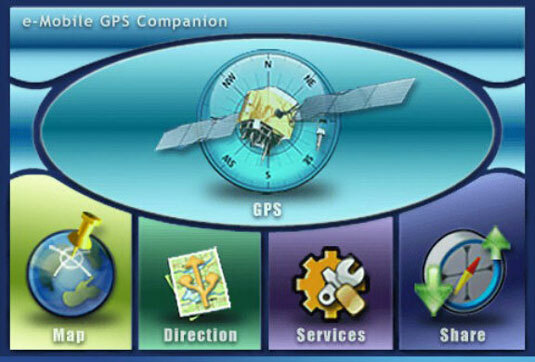 The app can also display a satellite view and report your latitude, longitude, direction, and speed. You can share your location with friends by e-mail or SMS message, and you can dial a listing’s phone number with a click. The folks at Google have figured out how to pack quite a few really neat tricks into your BlackBerry with Google Maps for Mobile. First of all, if your BlackBerry phone happens to have a built-in GPS receiver (like many of the latest-generation Bold, Curve, Storm, and Tour models), then Google Maps for Mobile can figure out where you are by using a satellite signal. But even if your phone is bereft of GPS, this app can still determine where you (and it) are located: it figures out which cell tower or Wi-Fi router your phone is using to communicate and calculates where you are based on that information. Kayak for the BlackBerry presents a very polished interface, beautifully scaled for use on a handheld device. Any time you start entering characters, it assumes you want to fill in a form. 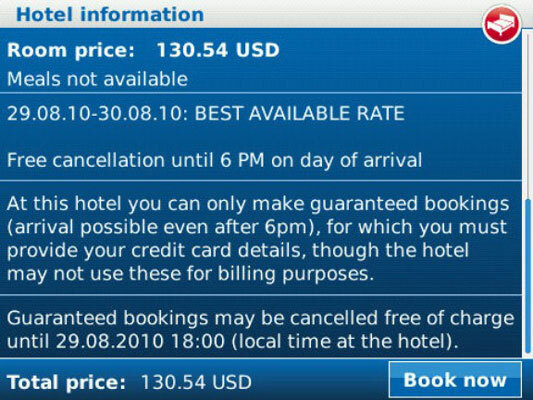 When you want to enter a date for a reservation, it uses a very simple slot-machine-like rolling selector, which is much easier to use on a mobile device than a tiny image of a calendar month. Kayak can determine your position and tell you the nearest airport, hotel, or car rental agency. So hand the phone to someone else in the car, or pull over to the side of the road, and ask Kayak to tell you about hotels in the area or the name of the nearest airport. Poynt can give you information about your location, not to mention nearby restaurants or business. 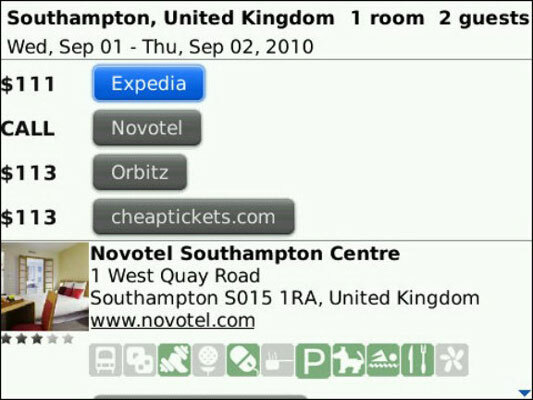 You can also search for businesses or people by name or do a reverse lookup of a telephone number. Also, Poynt integrates with BlackBerry E-Mail, BlackBerry Address Book, and BlackBerry Calendar. So, if you make reservations to dine, you can enter the information into the calendar, send an invitation and then a follow-up reminder to your significant other and friends, and save contact information for the next big night out. TripCase, a nicely polished app for mobile devices from Sabre, is a very simple-to-use organizer for the details of your travel that shows the touches of professional programmers. For example, after you name a trip and enter the first detail — whether it be a rental car to the airport, the flight itself, a hotel at the other end, or a car at your destination — it keeps all of the information in a folder you can easily consult. Also, TripLog allows you to share the details of your trip with family, friends, and business associates. You can also send notes and photos while you travel, tapping into the same list of insiders given access to your TripLog. 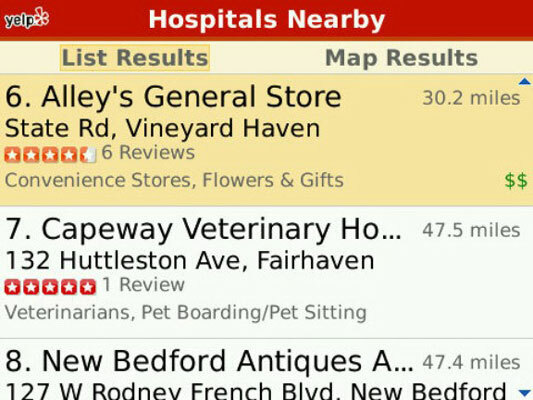 The Yelp! app is a free listing of reviews and commentary about local services, professionals, and attractions. And the listings are produced by amateurs. This app and the database behind it include a great deal of data that may help you in the initial stages of a search for something or someone near you. The bad thing is that there seems to be no fact-checking or editing involved — and there are both errors and a great potential for mischief, if not misdeed. The HRS Hotelportal includes about 250,000 hostelries around the world. HRS is a German company — one of the larger hotel booking companies in Europe. You can use the built-in GPS facilities of advanced BlackBerry models to find hotels in your vicinity, or you can begin a search by entering a city. Another option: Open a search based on an entry in your address book or calendar. 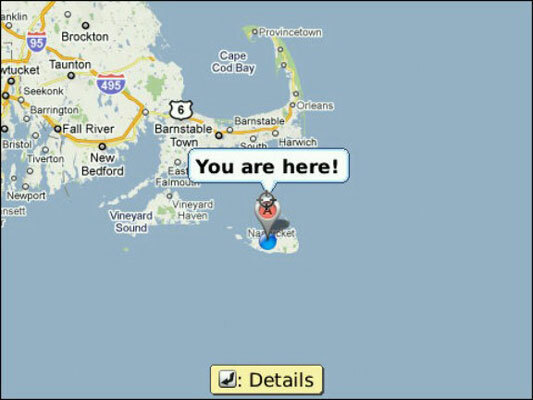 IamHere is a very simple tool that links together the features of Google Maps for Mobile, a screen-capture program, and a connection to your contacts list and BlackBerry calendar. 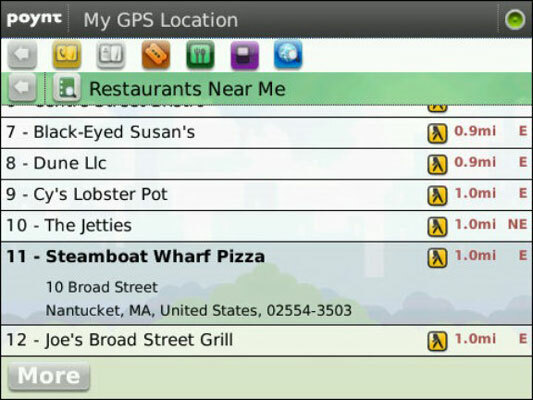 Use the internal GPS or other tools in your BlackBerry to find out where you are. View that on a Google map. Record the latitude and longitude on your calendar.